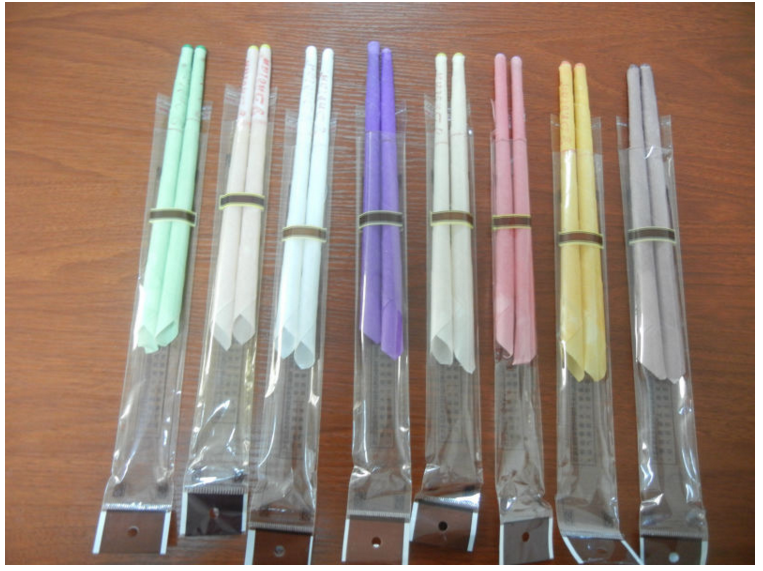 Product categories of Ear Candles, we are specialized manufacturers from China, Ear Cleaning Candles, Colorful Ear Candles suppliers/factory, wholesale high-quality products of Trumpet Ear Candles R & D and manufacturing, we have the perfect after-sales service and technical support. Look forward to your cooperation! Ear Candle is a hollow wax stick with special technics, with main ingredients as natural honey, Moxa grass and pure vegetation Essential oil. the metabolism process that Ear Candles apply is that one end to put into ear hole and another end to be lighted, under theory of vacuum, the Heat energy produced will gradually enter the ear, loose the Earwax and eliminate the pore's waste. Ear candles can keep the ear drum clean, improve hearing, decrease tinnitus, promote lymph circulation, and release the pressure inside the cranial cavity. During the lighting, the Essential oil will be completely absorbed by skin, thus the toxins inside body and cranium will be discharged from the body, which can result in a special effect of loosing nerves, and pressure, improving the sleeplessness.